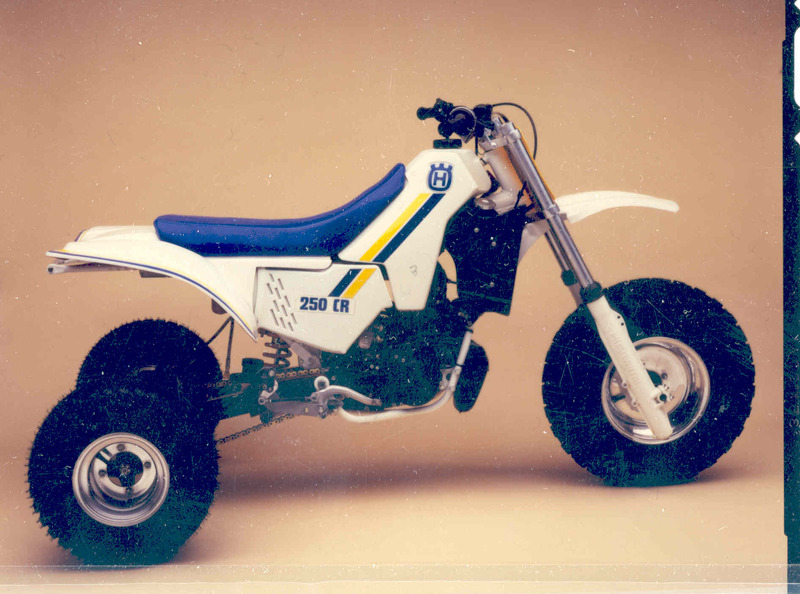 When Andy Lillard sent me the email about the Cagivas, and the pictures, he also attached one of a Husquavarna conversion they did in house along with the Cagiva. It is different then both of these below though. I'm not sure if this due to a change in the design of their conversion in different years or if maybe these were performed by another company. 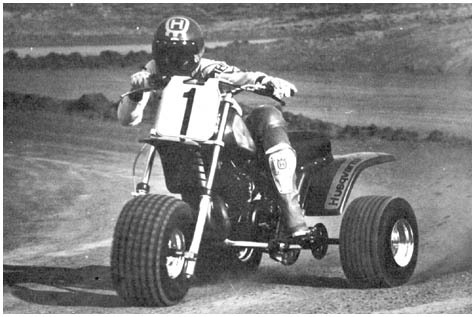 Below are some older Husky pictures. Heres also some new pictures of a different machine from the above. 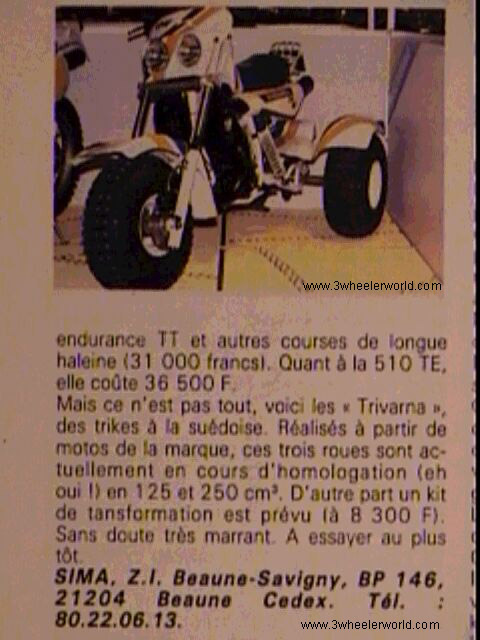 The one peice is in french, according to Trikekid from the board he believes it says that there are 125cc, 250cc sizes. There is also a conversion kit to make it a 300. A pretty mysterious machine all in all. 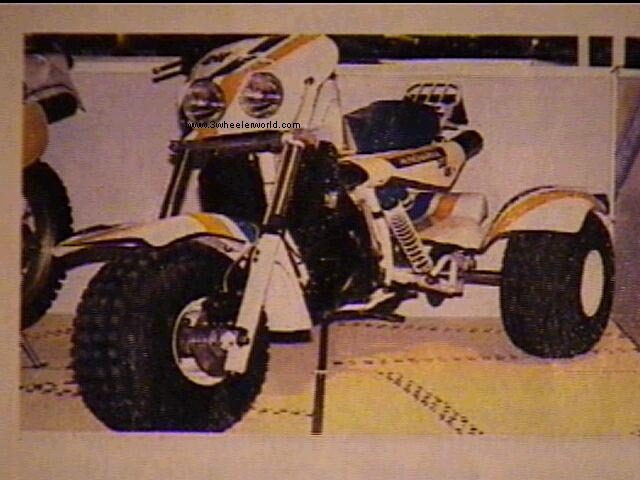 Heres a close up of the actual trike its self. Well, thats all we got, if you have any other pictures or information please email us.